This print is one of a several by Auguste Charles Pugin which depict the funeral preparations for Admiral Lord Nelson. The Remains of Nelson lay in state in the Painted Chamber at Greenwich Hospital with crowds paying their respects. 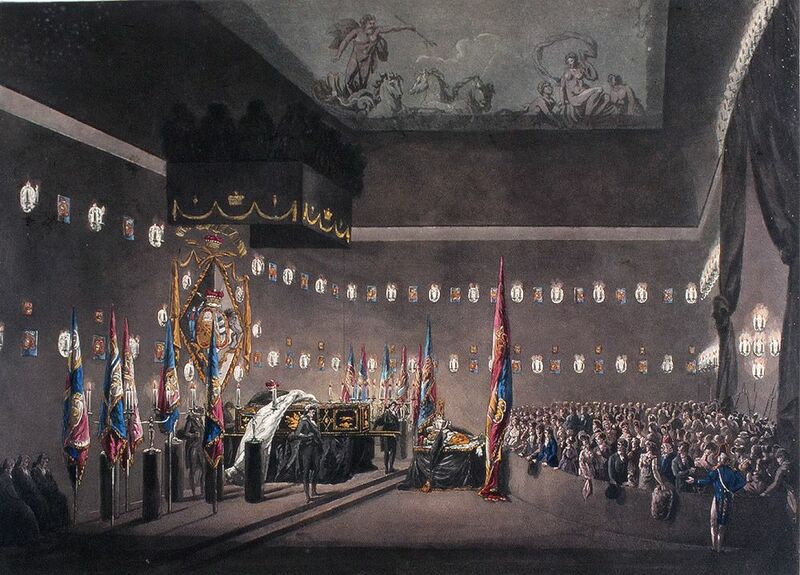 This Remains of Lord Viscount Nelson Lying in State in the Painted Chamber at Greenwich Hospital Art Print is created using state of the art, industry leading Digital printers. The result - a stunning reproduction at an affordable price.